It’s another bustling day at the Border States branch in Brooklyn Park, MN. LaRae Ferreira is 16 days from retirement, and she runs through a checklist of exciting plans for her next life chapter. Plan my son’s high school graduation celebration. Explore new ways of cooking. But, there’s one goal that stands above the rest. “I’m looking forward to spending time with family,” says Ferreira, Customer Service Supervisor. Border States fosters a culture of work-life balance – one that gives employee-owners the chance to spend time with their loved ones. During Ferreira’s 32 years at the company, she’s had the flexibility to be there for her two sons, whom she and her husband adopted from Russia. Over the years, Ferreira began to realize Border States is more than a workplace. Much of Ferreira’s satisfaction in working at Border States came from working with people. She enjoys keeping customers happy and having a voice in key business initiatives for the company. 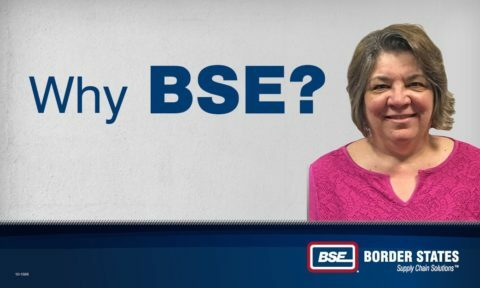 Plus, employee-owners are part of Border States’ 100 percent employee stock-ownership plan (ESOP). It’s another aspect of ownership that drives our mission and culture. Border States is a $2 billion company – and continues to grow. With that growth comes many job opportunities in various fields. Ferreira says Border States is a great place for those professionals to experience quality training and work experience.